It’s the end of another year, when traditionally anyone who thinks themselves to be even the slightest bit important starts handing out awards, statuettes, globes, cubes and all manner of trinkets to the great and the good, and occasionally a few less deserving. Although cinema has been going for over a hundred years, ever since awards were first handed out a division has taken place between actors and actresses, and for most of that time awards have also been handed out for both leading and supporting roles. But who’s to say that any performance by an actress is more or less worthy than that of an actor, or indeed that a role with only ten minutes of onscreen time is more or less important than a role where the performer is in every scene? Not me, that’s for sure. So in looking at what’s made up the best films of the year, I’ve pulled together what I believe are the best performances of the year. There are only two criteria that I’ve applied – I’ve only picked the best single performance from each performer, and I’ve only picked my favourite single performance from a single film. I’ve seen a lot of films this year, so there’s a lot of worthy performances that didn’t make the cut – these are the top 25 that left the biggest impression on me in 2011. There’s enough of a history of prostate cancer in my family that, even with regular testing, I might end up facing the situation encountered by JGL’s Adam in 50/50, and I’ve often wondered how I’d react. I don’t need to any longer, as Joe’s portrayal of coming to terms with news of The Big C felt pretty much spot on. 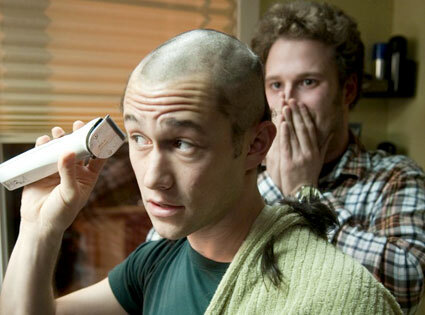 There’s a number of supposedly brave decisions that an actor can take in the name of their art, and shaving your head is one of them, but it’s to this actor’s credit that the physical quirks never overpower an understated but extremely effective performance. Weekend has picked up a lot of indie attention this year for its take on relationships, and the fact that it’s a relationship between two men became almost incidental as the central story was so strong. Credit for that must go not only to Andrew Haigh’s strong writing but to the performances of the two leads, and while Chris New has the slightly more showy role, it’s Tom Cullen’s mix of ease and angst that was the slightly stronger showing. Hopefully this will be a springboard for both Cullen and New to go onto bigger and equally good things. Looking for the next James Bond? 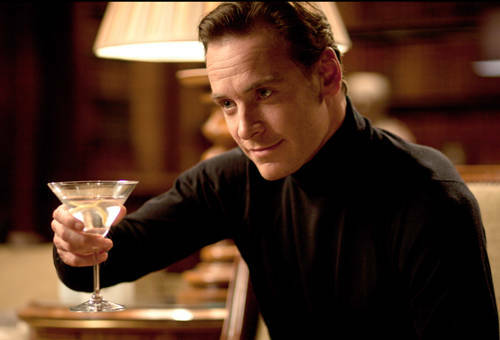 Daniel Craig seems set on sticking in the role for a few more years, but on his showing in this year’s X-Men prequel, Fassbender has moved to the front of the queue to take over when Craig’s had enough. I’m even willing to overlook the fact that his accent was gravitating strongly back towards the Giants Causeway in the last act, so dominant was Fass’s performance, especially in the early scenes. That he not only matched Sir Ian McKellen’s performance in the role but at times even exceeded that standard is testament to someone who’s had a fantastic track record over the past few years. In the next six weeks, he’ll be in cinemas in films from Steve McQueen, Steven Soderbergh and David Cronenberg, and with Ridley Scott’s Prometheus to come in the summer, 2012 looks like it could be a landmark year for him. The Debt was a film of very mixed performances, but two stood out above the others, and in particular the scenes that the two of them shared. A number of confrontations in the first half between Jessica Chastain and Jesper Christensen stood out as highlights and that was to the credit of both Chastain and Christensen, the latter simmering with barely contained menace once his true nature becomes apparent. It’s a shame that Christensen didn’t get more of a prominent role in the two recent Daniel Craig Bonds, as on this evidence he could have been a much stronger villain than either of those films actually ended up with. I’ll be returning regularly to the theme of how actors can be perceived as brave in order to stand out from the crowd, and Natalie Portman’s Oscar-winning turn practically rattled off a tick list including madness, lipstick lesbianism and even some slightly-too-casual onanism. Oh, and more madness. This is one of those “practically-in-every-scene” roles that was also a career best turn in a career that’s had some pretty strong turns previously. In a film as full of testosterone as Animal Kingdom, it takes something special for an actress to stand out, and Jacki Weaver had that special something. After a twenty year period in which she’d been seen very little on screens of any size, a late renaissance saw her take on the role as the unassuming mother figure of the family. Fantastic performances across the board from the likes of Joel Edgerton, Guy Pearce and Ben Mendelsohn make Animal Kingdom a compelling watch, but it’s Weaver’s performance that rightly got awards attention this time last year. I never imagined, after his frustratingly one-note performances in the Spider-Man trilogy, that James Franco would be popping up in a list like this, but 2011 was a great year for Franco. 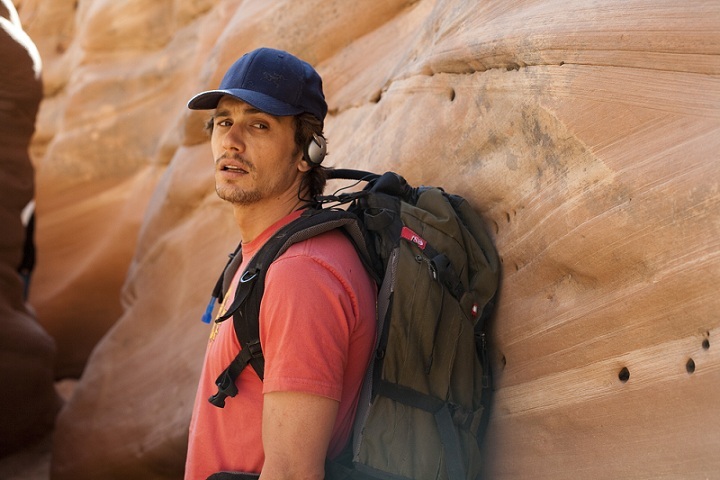 He did just well enough as the human lead in the new Apes movie, and also surprised in the Allen Ginsberg biopic Howl, but 127 Hours became his signature role. Having very little to interact with, he still managed to sustain interest throughout the running time, and it was the fault of the structure of the film itself rather than Franco’s performance that led to a little watch-checking while we waited for hour 127; when it came, the final moments continued to show the strengths of an actor who, at 33, is just now coming into his prime. If James Franco still has a long career ahead of him, then surely Zoé Héran is also destined for great things. Tomboy was a delightful story of the innocence of youth and the coming of adolescence, carried by Héran’s winning performance at its centre as new girl Laure masquerading as new boy Michaël. It would have been easy to make the role unsympathetic in the wrong hands but Héran carries the film completely, and Tomboy doesn’t shy away from the practical realities of such a situation, but does so without becoming heavy-handed or judgemental. Here’s hoping we see more roles for Zoé in years to come. Another actor getting a chance to shine in a film gaining recognition on a wider stage this year was Anders Danielsen Lie. 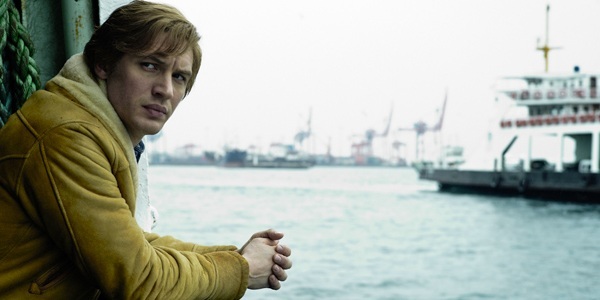 Taking centre stage in Oslo, August 31st, the story of a recovering drug addict’s struggles for acceptance and his attempt to reintegrate into society after rehabilitation, Anders was barely off screen and brings both a tenderness and an understandable resentment to his screen namesake. Although it’s already been seen in this country following a showing at the London Film Festival and a limited release, it’s been added to Sundance for 2012, where surely the profile of both the film and actor can surely only rise further. If you want to make things particularly difficult for yourself in Hollywood, try to do whatever you can to not conform to the physical stereotype. 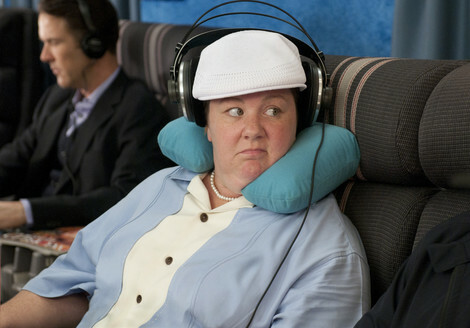 Melissa McCarthy has never been, and likely never will be, stick thin but she still manages to do glamorous pretty well in the likes of her high profile TV roles such as the hit US sitcom Mike And Molly. For Bridesmaids, she stripped that away as well, but it didn’t stop her stealing practically the whole film away from her co-stars, and nominations for everything from the Teen Choice Awards to the Screen Actors Guild for her performance are fair reward for her commitment. There’s often a sense when it comes to awards time that certain actors reach a point in their career when they get recognition out of courtesy, or as a reward for career achievement rather than the merit of a specific role. 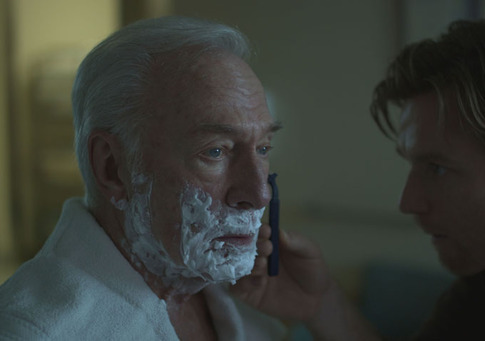 It may come as a surprise that Christopher Plummer only got his first Oscar nomination two years ago for The Last Station, but he should pick up his second this year for Beginners. Rest assured, if you’ve not seen it, that this isn’t a career pat-on-the-back, Plummer excelling as the father finding a new lease of life in his final years. 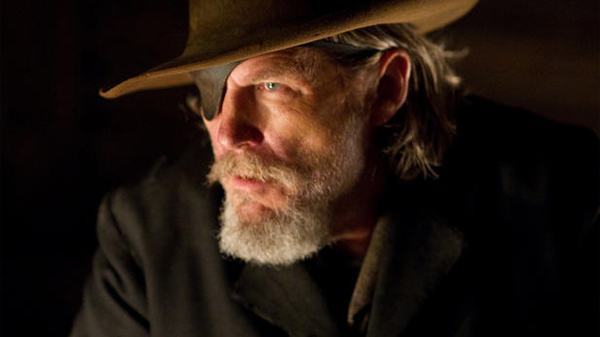 It’s been a bit of an acting head-to-head over the past couple of years, as both Jeff Bridges and Colin Firth have been nominated for the Best Actor Oscar two years in a row. 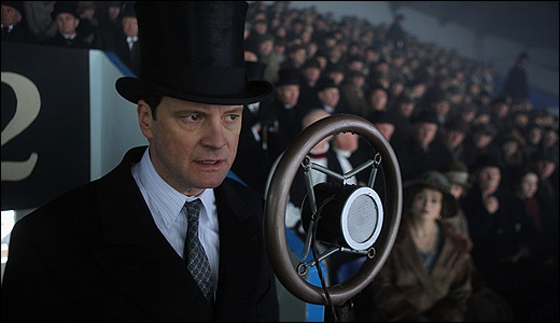 While Bridges took the first gold baldie for Crazy Heart, Firth won this year for The King’s Speech, and while it was a deserved win when comparing the two, it shouldn’t take away from the sheer joy of Bridges’ grizzly, mumbling turn in the Coen Brothers’ latest masterpiece. Matt Damon and Hailee Steinfeld both deserve plaudits for their performances, but Bridges took on the hardest challenge, and successfully banished any memories of John Wayne’s performance with another majestic turn. But, when comparing the two, Firth just edged it; possibly justice done after his astonishingly subtle performance in last year’s A Single Man was shamefully overlooked for Bridges’ theatrics. Although a speech impediment and performing a real life character are another two of the “how to bag an Oscar” checklist, Firth is spot on throughout and is well supported by Geoffrey Rush and Helena Bonham Carter. Following this up with another star turn in Tinker, Tailor, Soldier, Spy, it’s been a good year for Firth, and hopefully none of us will ever have to watch him mugging through the likes of the St. Trinian’s sequel again. There’s one other area where the Academy goes further than segregating and actively discriminates at the moment, and when it comes to a motion-captured performance, awards voters in general still haven’t been bra ve enough to reward a performance augmented by CGI. The computer graphics might be practically flawless, but they’d be nothing without the performers wearing the dot-covered grey leotards acting on green screens, and Serkis gives what may be the best performance yet in a computer-assisted costume; yes, Caesar is even better than the previous benchmark Serkis set, and is revisiting next year, in Middle Earth’s Gollum. 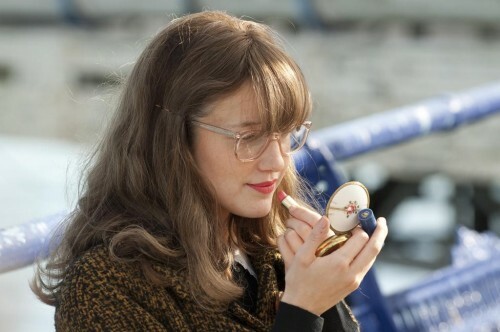 One of the most undervalued performers of 2011 has been Andrea Riseborough. It doesn’t quite feel as if she’s had the luck in landing the roles that a younger contemporary such as Carey Mulligan, but Riseborough has been outstanding not once, but three times, on screen this year. She ended the year with a star turn in Welsh alternate-history drama Resistance, and started it with a brief but heart-breaking turn in Never Let Me Go. It was more heartbreak that saw her best effort of the year, and while Brighton Rock the film may not have been the sum of its parts, Riseborough was outstanding at its core. Hopefully Shadow Dancer (with Clive Owen) and Welcome To The Punch (with James McAvoy and Mark Strong) will keep her profile high next year, but she starts with Madonna’s take on the life of Wallace Simpson, which sadly looks to be another case of her performing well in a film that doesn’t showcase her talents as effectively as it should. Tilda Swinton isn’t afraid of an acting challenge, but how do you follow up I Am Love, where she learned to speak Italian with a Russian accent? Aside from a third turn as Narnia’s White Witch last year, her latest cinema role was front and centre in Lynne Ramsay’s successful adaptation of Lionel Shriver’s novel. 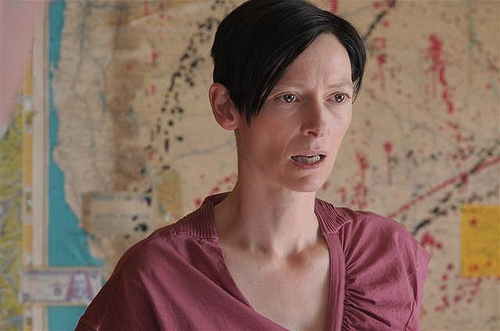 Swinton is magnetic throughout, taking whatever’s thrown at her – most of it symbolically red – and retaining sympathy despite the difficulty of her various situations. Such is the warmth and tenderness that she brings to the role, in the face of almost unrelenting misery, that it makes the inevitability of the outcome still very hard to take, and that’s entirely to Tilda Swinton’s credit. 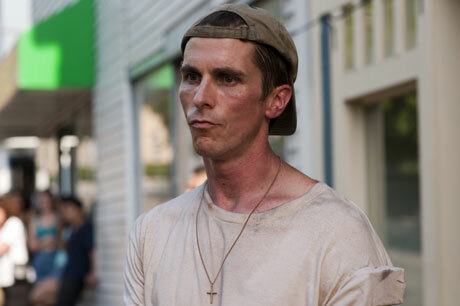 Sitting through most of The Fighter, as good as Christian Bale’s performance is, you can’t help but think that maybe he’s gone a little too far over the top on the mannerisms. It’s undoubtedly a strong performance, and is complemented by strong work from the likes of Amy Adams and Melissa Leo, but when put in contrast to Mark Wahlberg’s defiantly understated performance as the other brother, the titular Fighter, then it does occasionally feel too much of a good thing. Then the end credits arrive, and with them footage of the real life Ward brothers, and all of a sudden it becomes apparent that Bale’s a genius, absolutely nailing the larger than life persona of his real life counterpart. In 2012? Not much. Just a new Batman movie, that’s all. If you played cinematic tail-on-the-donkey with the cast list of Tinker, Tailor, listing out the names and then attempting to find a great performance by going at the list blindfolded, you couldn’t not hit on an amazing performance by probably the best cast put together in film this year. When even those getting barely more than a single scene, such as Stephen Graham or Kathy Burke, excel then you know you’re onto a winner. But if forced to pick one, then Tom Hardy just edges ahead of the rest of the cast with his stunning portrayal of the man who calls out the mole. Hardy’s been around for ten years, but has come a long way since the likes of Black Hawk Down and Star Trek: Nemesis, and will follow up his impressively muscular turn in this year’s Warrior with lead bad guy duties in next year’s Batman threequel; hopefully Hardy’s best years are still to come. I was more than a little unsure about approaching My Week With Marilyn, not only because I’d never really have described myself as a fan of Marilyn Monroe, but because the few clips I’d seen suggested that the performances of both Williams and Kenneth Branagh as Laurence Olivier were erring more on the side of caricature. I should have had more faith; Williams has been proving for years that she’s one of America’s finest actresses, and followed up her performance at the start of the year in Blue Valentine with this cracking showing as one of the US’s screen icons, by turns an uncanny impersonation and a sympathetic portrayal of a public life that hid more of a private tragedy. Expect Williams to make a strong showing come awards season. Another name that was being touted for a while as a major contender in the supporting categories this year was Nick Nolte, but the momentum now seems to be with Christopher Plummer. It’s a shame, for as good as Plummer was, Nolte was better. Warrior ran the risk of being a sports movie full of stereotypes, but in each case either neatly dodged them or embraced them to full effect. 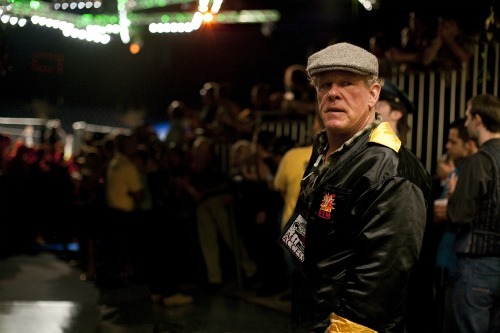 Nolte’s performance fell into the former category, as the recovering alcoholic father found his loyalties divided between his sons, and he painted a believable character arc without resorting to histrionics. It was almost good enough to make me forget his uncomfortable turn as Jennifer Garner’s father in Russell Brand’s Arthur remake. Almost. What, then, of Kirsten Dunst, denied the opportunity to make further Spider-Man sequels? Dunst has always felt as happy in the art house as the blockbuster, so it made sense that when Penelope Cruz dropped out to make the latest Pirates Of The Caribbean sequel, Dunst was recommended to Lars von Trier as a replacement. It’s a film of two halves, and Dunst shines in both; in the first half, her wandering mind and frustrated countenance completely at odds with the order and formality of the wedding reception, giving way to a serene presence as others try to understand events to come in the second half. It’s the ideal performance for von Trier’s art house blockbuster. If I was giving out awards for actor of the year, then there would probably be only one contender. If you consider the magnificent four-hander that he’s put out this year: the lover at the end of the doomed relationship in Blue Valentine, the smooth charmer who struggles to commit in Crazy, Stupid, Love, and the young buck looking to make a name for himself politically in The Ides Of March, but it’s the role as the almost silent stunt driver in Drive which is likely to define Ryan Gosling for years to come, a masterclass in how much can be done with so little. I received some Gosling in my stocking for Christmas this year, in the form of Lars And The Real Girl, and it’s an indication of Gosling’s supreme quality that he’s so good in all of these roles. I would fancy there’s a fair few movie buffs who had scorpion jackets in their stockings this year. If Ryan Gosling has been one of the year’s hardest working actors, then Jessica Chastain has been even busier, and we’re spoiled for choice in picking a role to define her talents. While she stood out among the tone poem madness that was The Tree Of Life, and excelled as the ditzy blonde with hidden depths in The Help, it was two other roles that really showed her talents. The first was as the young Helen Mirren in The Debt, showing her class and dignity even as Jesper Christensen foraged in her unmentionables, but for me her best showing of the year is the one which has her mentioned in Supporting Actress categories as Michael Shannon’s wife in Take Shelter. Not to dismiss Shannon’s powerhouse performance, but it would have been nothing without Chastain to play off, and their scene together at the dinner table as Shannon confessed to the full extent of his problems was the most powerful two-hander of the year. Not resting on her laurels, Chastain is up next as Ralph Fiennes’ wife in Coriolanus. I mentioned earlier the injustice of the Oscars, that Jeff Bridges should’ve been beaten by Colin Firth in last year’s Oscars; I also stand by the view that neither Bridges or Firth should actually have won the big award this year, as the best performance by far from an actor in a leading role came from Javier Bardem in Biutiful. 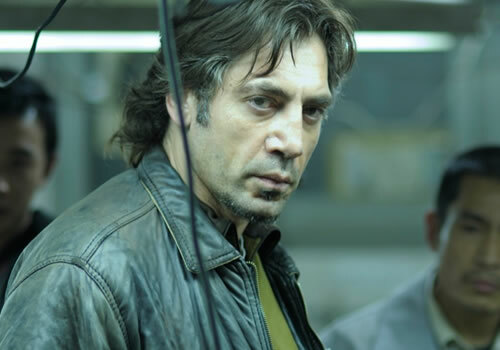 Bardem’s portrayal of Uxbal, a man attempting to juggle too many facets of a life with few days left in it was stunning, and despite the misery and melancholy Bardem rooted the film in reality amid elements of the supernatural and turned a good film into a genuinely great one simply by the power of his performance. The fact that he’ll be a Bond baddie by this time next year fills me with more glee than I can possibly share right now. 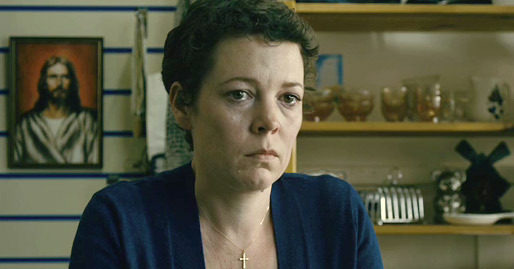 But the performance of the year was that of Olivia Colman in Paddy Considine’s directorial debut. It was a conscious departure for Colman, who was well known – in her own view, too well known – as a regular collaborator of Mitchell and Webb, in both their sketch show and Peep Show, and also for her lighter supporting roles such as the dirty-minded Doris in Hot Fuzz. But taking these as a polar opposite to Tyrannosaur, it’s difficult to know which is sublime and which ridiculous, so utterly convincing is Colman’s portrayal of the charity shop worker tested to her limit by both abusive husband Eddie Marsan and by Peter Mullan’s troublesome drunk who stumbles into her life one day. It’s a performance that’s not only remarkable given Colman’s previous body of work, but it also stands on its own terms as an absolutely astonishing piece of work. Mullan and Marsan are no slouches, and Mullan especially delivers some of his best acting work here, but Colman, under the guiding hand of first time director Considine, is the star of the show and is absolutely mesmerising from start to finish. Like Lesley Manville’s performance in Mike Leigh’s Another Year last year, sadly this doesn’t have the profile or the momentum to get the awards attention it deserves, but don’t let that detract from what is a performance so strong and so strong in the face of her character’s adversity, that if you ever saw Olivia Colman in the street, you would be unable to suppress the need to give her a great big hug. This entry was posted in Evangelism and tagged 2011, acting, awards, performances. Are you kidding? 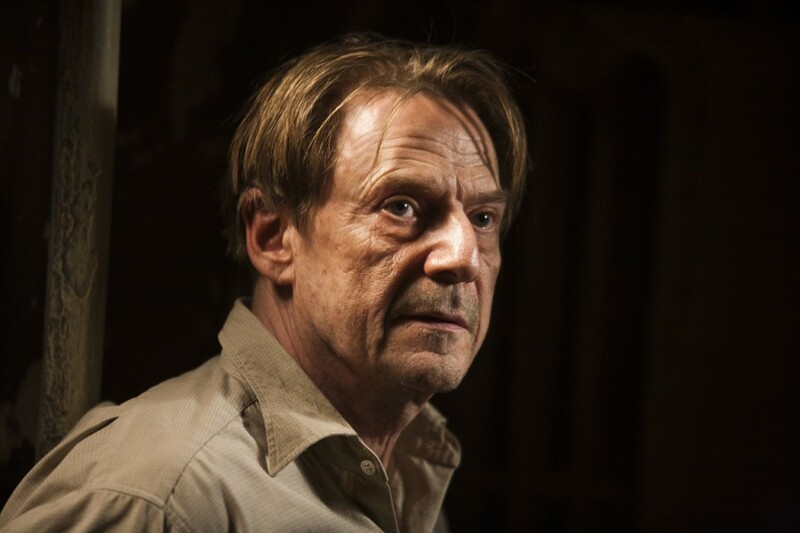 Tinker Tailor Soldier Spy No 4? and Tom Hardy gaining this spot????? Just finished watching, I lie actually! I switched off totally un interested with about 20 mins to go and scanned through the rest. Yes the cast list is fabulous and yes its great to see so many home grown talented actors, but to use this film as a carriage? No don’t be silly. Even going into this film with an understanding it wouldnt be an action romp, I was left sorely dissapointed, It is pedestrian in the extreme, the characters go nowhere, and at the end of the day we are left caring little about any of them, their plight, or the outcome. Tom Hardy, Gary Oldman, Colin Firth, John Hurt et al should be ashamed of this film, and the performances within. We’ll have to agree to disagree on this one. For me, TTSS was full of subtle performances and lots of gestural acting, and while I appreciate that might not be some people’s cup of tea, I thought there were several stand out performances. Gary Oldman and Benedict Cumberbatch both did well on the “looking moody and staring into the middle distance” front, but the stand out was Tom Hardy, the scene where he tells his story in flashback and breaks down in tears on the sofa was incredibly moving. Sorry you didn’t enjoy it more. I am absolutely shocked at the lack of Harry Potter and Twilight : Breaking Dawn on this list. It leads me to consider the possibility that you may have not watched the Twilight saga. So, just in case, my next visit shall be accompanied by a collection of Twilight DVD’s and explicit instructions to watch every single one of them with me and Mrs Evangelist. You have to bear in mind that my top list is taken from 160 films. Alan Rickman was a close contender, but the Twiglet saga really isn’t for me – can’t imagine anything worse than BlogalongaTwiglet. Antonio Banderas didn’t quite make the list, but he was close. 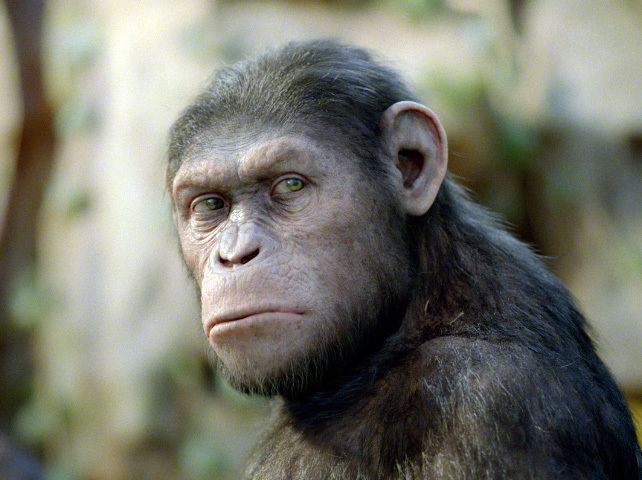 But The Tree Of Life left me colder than a polar bear sucking an ice cube – Pitt and Chastain both much better in their other performances.